It is a region of pristine, spectacular scenery, crisp clean air, vertiginous snow-covered peaks and dramatic winding roads - a haven for mountain and winter sports enthusiasts and drivers with a desire for exhilaration. The Alps is 6,000 sq km region that straddles eight countries and attracts over 120 million adventurous tourists annually. And it is in the Northern Italian part of this vast mountainous range - which includes The Dolomites, the location for the legendary Marcialonga 70 km cross-country ski race - that oil and energy company Tamoil has begun selling premium-quality “Gasolio Artico Tamoil – New Generation Diesel,” containing a 20% blend minimum of Neste's renewable ‘drop-in’ biofuel. “We have been trying, for a long time, to be different from competitors through projects that are environmentally friendly and technologically advanced"
The new-gen diesel is both specifically created for the high-altitude, low-temperature Alpine mountain area and also, crucially, to help further protect the region from an environmental perspective. With its lower freezing point, reduction in CO2, NOX and hydrocarbon emissions, plus its high Cetane number, which optimizes engine combustion, increases power and reduces noise, the fuel is custom designed to work in the harshest of conditions. “The biofuel permits us to better the excellent characteristics of Tamoil diesel fuel, placing the product on a higher quality level in terms of respect of nature, reliability, sustainability and performance, even at low temperatures,” enthuses Lancia. In order to make the product known from the very start, Tamoil took the decision to take the show on the road. The company decided to promote the biofuel from both a territorial and customer point of view. Organized events and a road show were created in order to meet the people who could be potentially interested in the new-gen diesel: local administrators, winter ski slopes managers, ‘groomer’, ‘snow cat’ and ‘snowmobile’ users, trucking companies and winter sports associations, amongst others. For the duration of the successful January, 2016 event, all the service vehicles were powered by the proprietary biofuel blend. In total, around 10,000 litres of New generation diesel was used to power the legendary Marcialonga. “Customers are becoming more and more sensitive and careful about quality, environmental safety and performance,” summarizes Lancia, “So, it’s necessary to be updated and also to look at the future. I think that the slogan “Never Stop” represents very well the targets we set. That’s why I think that the new Gasolio Artico Tamoil will be a success. Learn more about Neste’s renewable products. 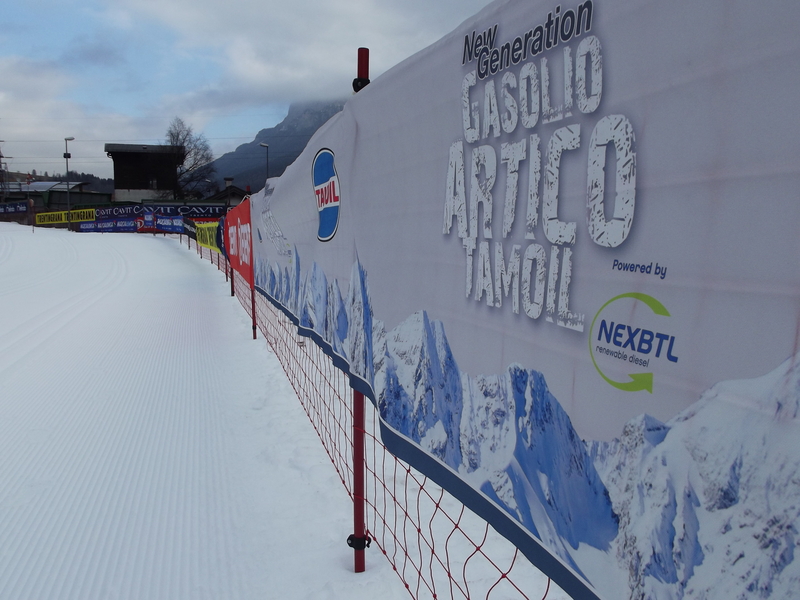 In total, around 10,000 litres of New generation diesel was used to power the legendary Marcialonga.